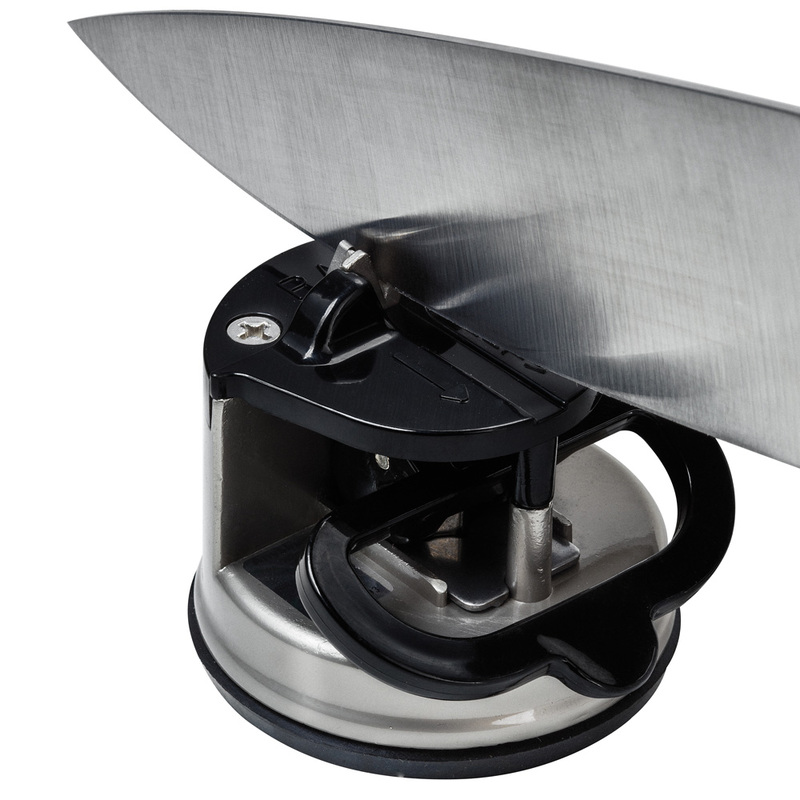 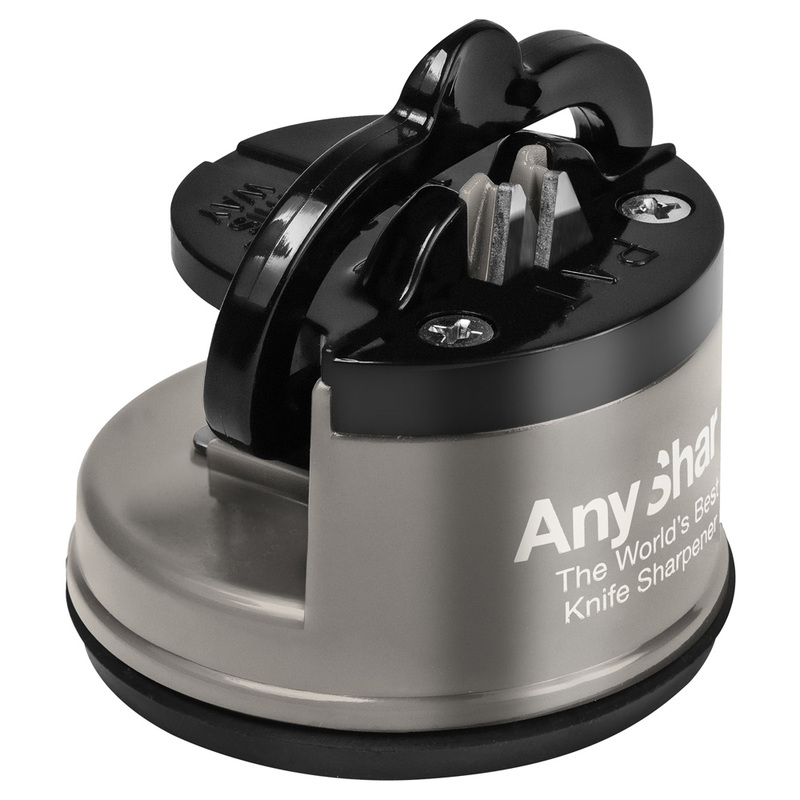 Knife sharpener with powerful suction cup for safe, hands-free use. 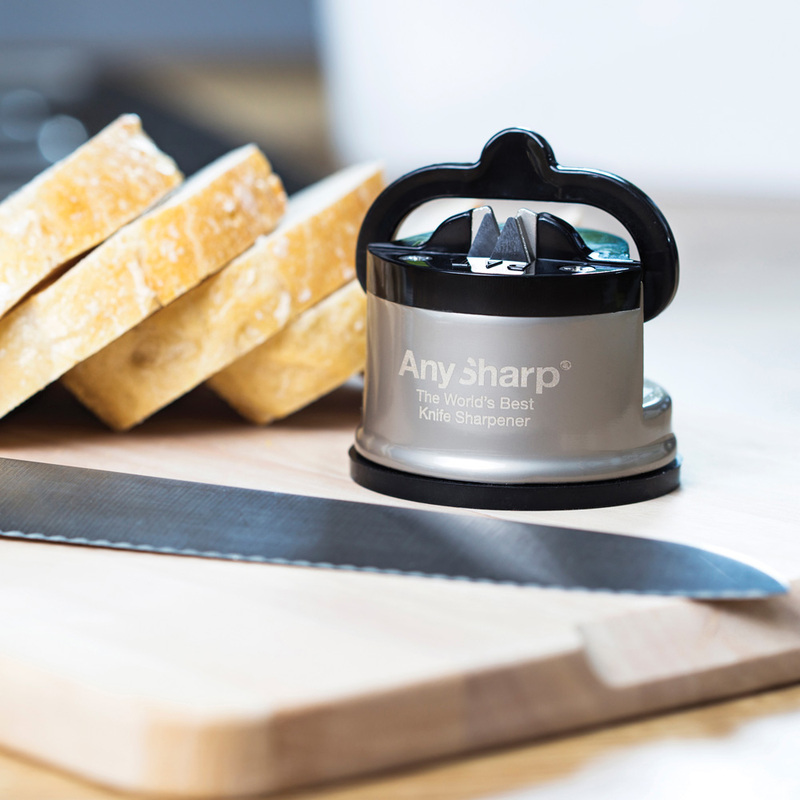 Anysharp rejuvenates knives safely and hands free. 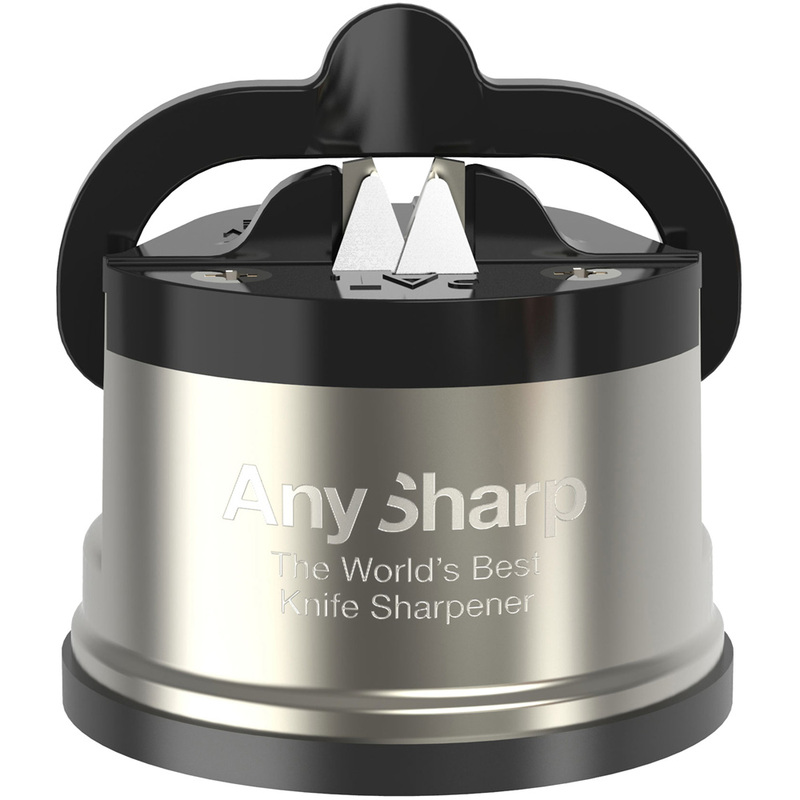 A few light strokes, and in seconds the knife is as sharp as new. 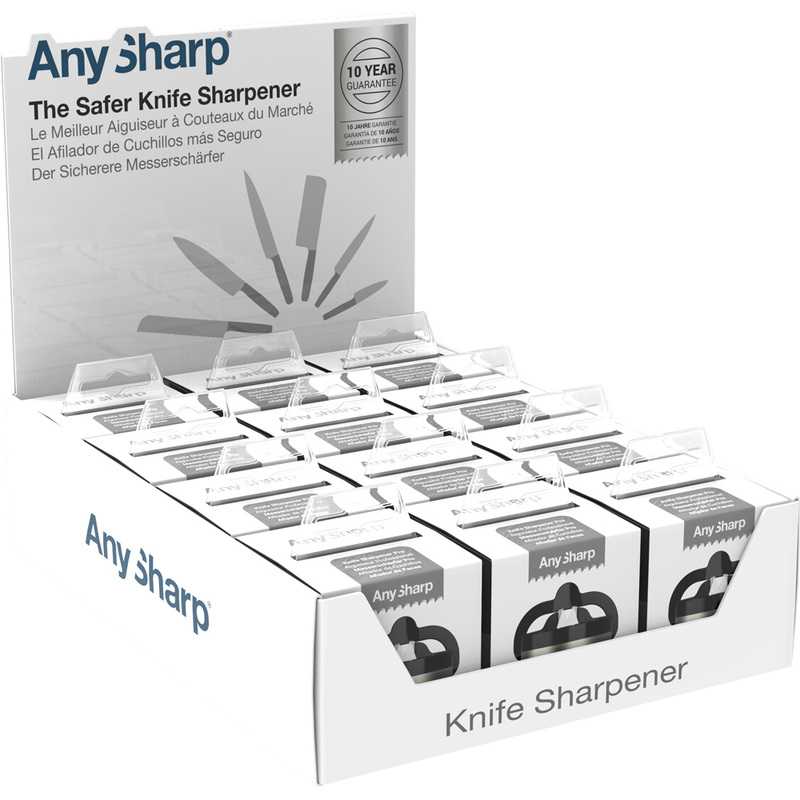 The advanced diamond tungsten carbide sharpening tools also sharpen serrated blades. 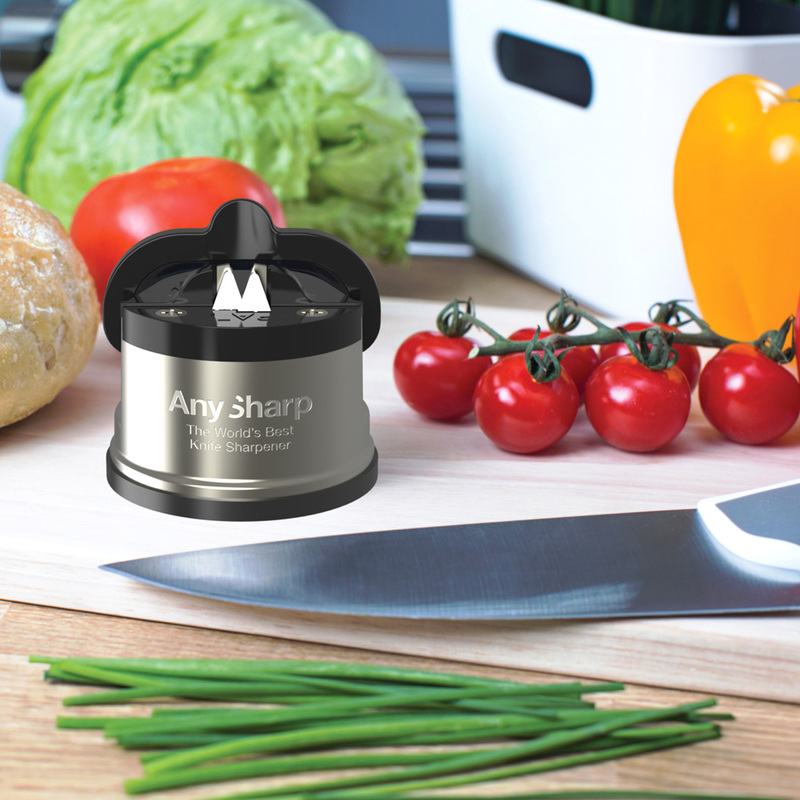 Anysharp has a patented, powerful suction grip, for hands-free use.